Dreaming of a truly unique small wedding event? 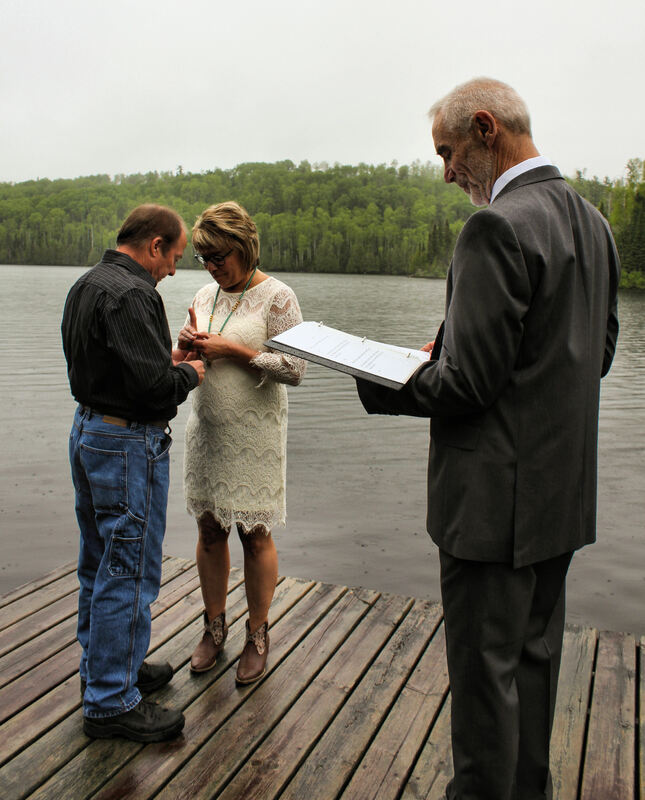 Have a Wilderness Wedding at Bearskin Lodge on the Gunflint Trail. Whether you envision a small, personal elopement or a wedding that includes family and friends, we’ll work with you to make your plans a reality. Bearskin Lodge is located on the edge of one America’s most beautiful wilderness treasures, the Boundary Waters Canoe Area (BWCA). Thousands of acres of pristine wilderness surround our Lodge. 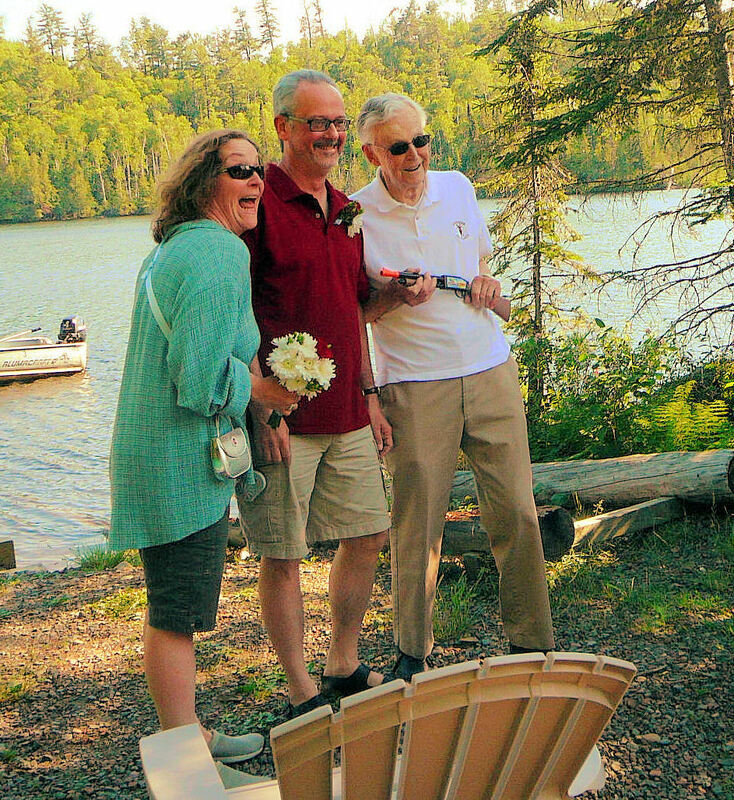 If the outdoors is part of who you are as a couple, we’ll help you plan a wedding event that features your love of the northwoods. 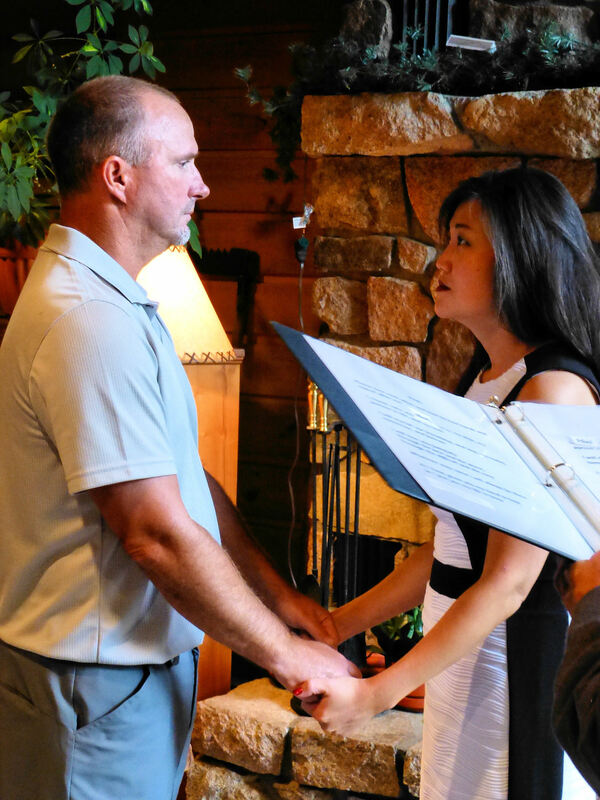 Our wedding officiant is able to perform a wedding on site, or out on the trails. If you can imagine it, we’ll do our best to make it happen. 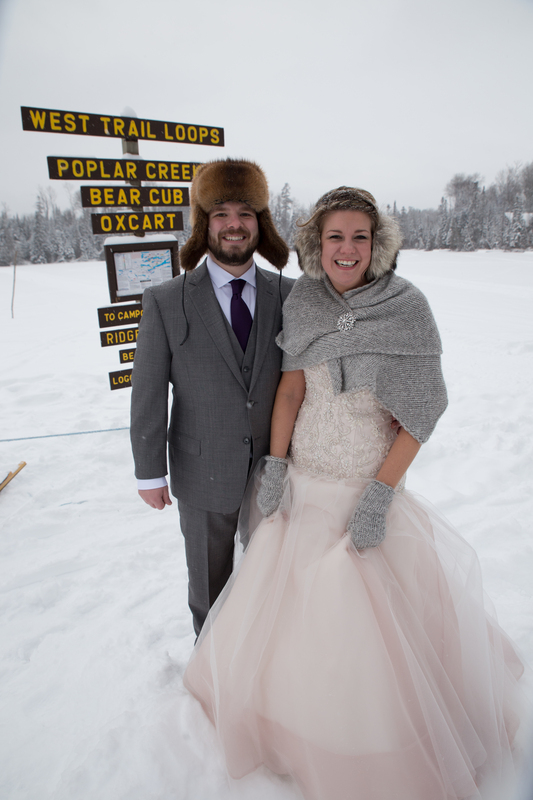 How about a winter wedding next to the famous Bearskin tipi or out on the dog sled? Let’s plan it. 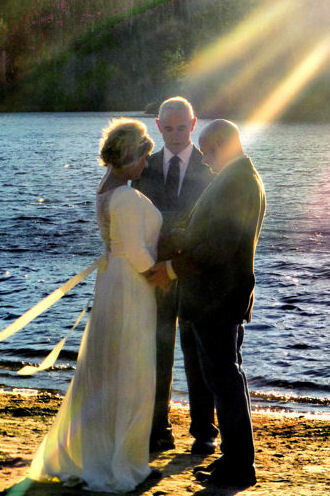 Would you like to be married in the BWCA or on a dramatic overlook? 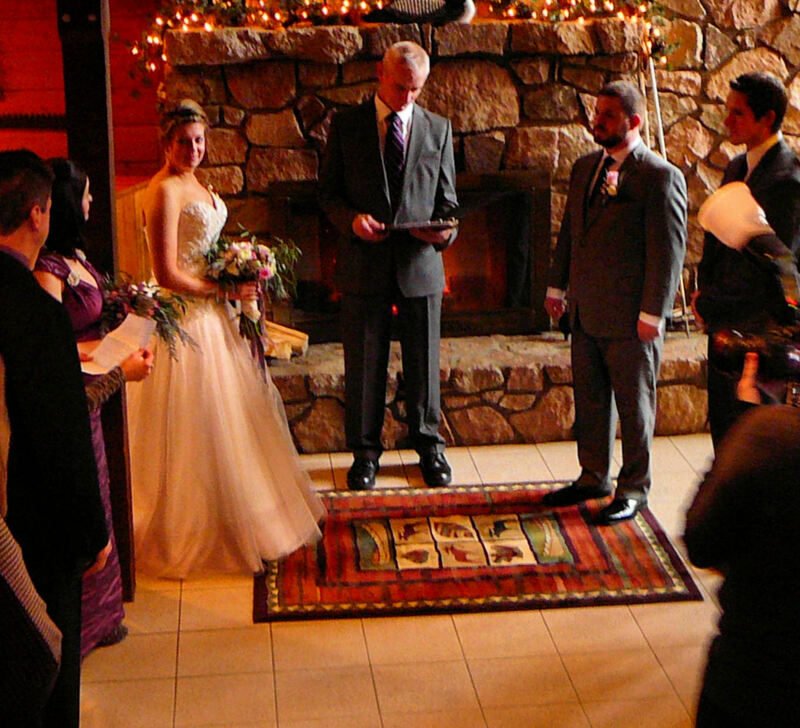 Or could you imagine your wedding in front of our massive lodge fireplace? 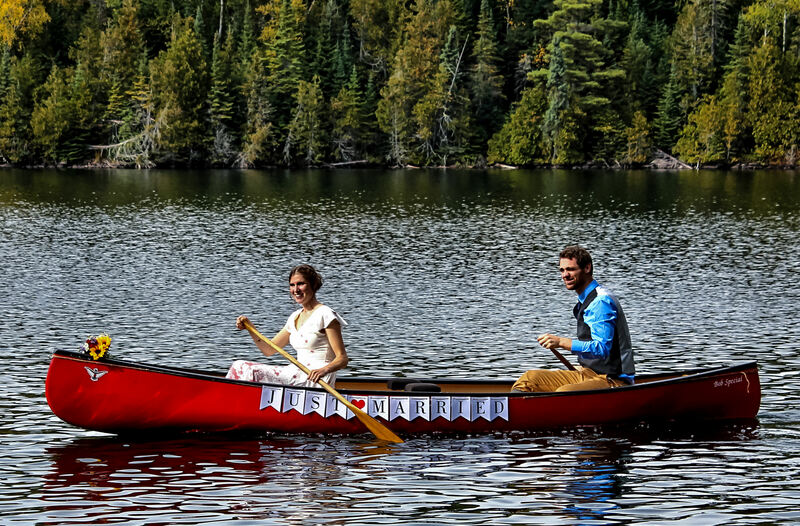 Is a canoe wedding the appropriate event for both of you? Let’s talk about the possibilities, and make your unique wedding plan become a reality. Bearskin offers catered dining from several top notch local chefs. 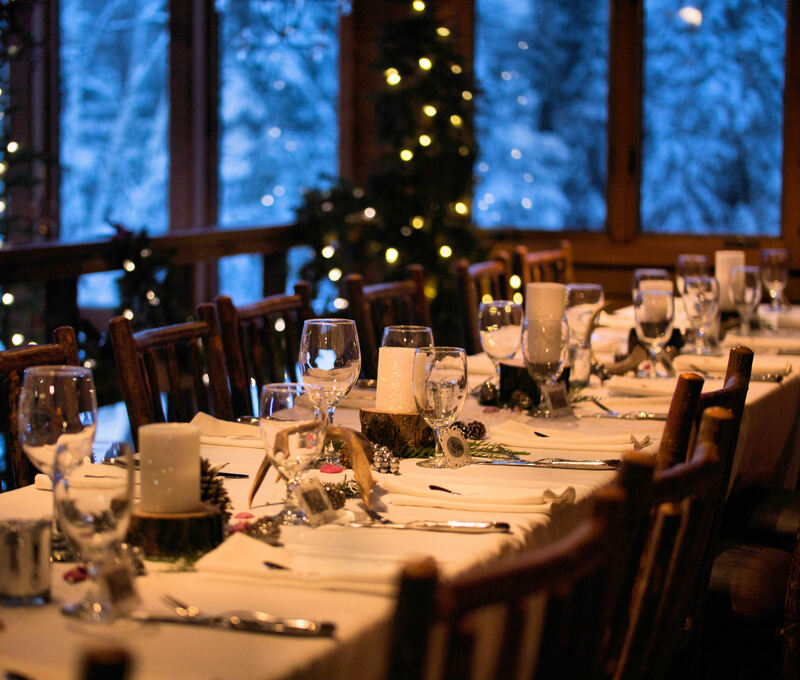 A group of 25 can dine in the main lodge, or we’ll make arrangements with one of several excellent local restaurants to create a memorable meal experience for you. We’ll provide you with suggestions for local florists, bakeries, and photographers, and we’ll help you locate the best people to make your wedding turn out just right. 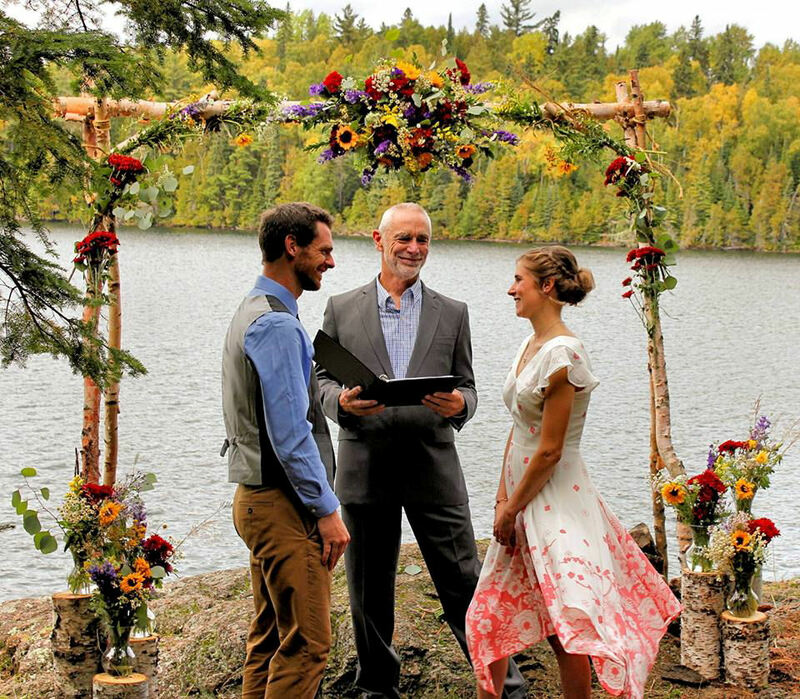 If you’ve been looking at wedding pages at other North Shore and Gunflint Trail resorts, you’ve experienced sticker shock. Weddings are hugely profitable for many hotels. Here’s the story at Bearskin: We’re not in the wedding business. We do a few weddings, and we remember every detail, every moment about each of them. There are no structured wedding rate charts, no grandiose wedding options. We’re going to make a wedding plan with you and then together we’ll figure out out a reasonably priced decision for what your wedding will cost. No packages, no structure, no requirements, just a nice event that fits your hopes as a couple. Bearskin offers wedding services to all couples who love and are committed to each other, whatever their genders. 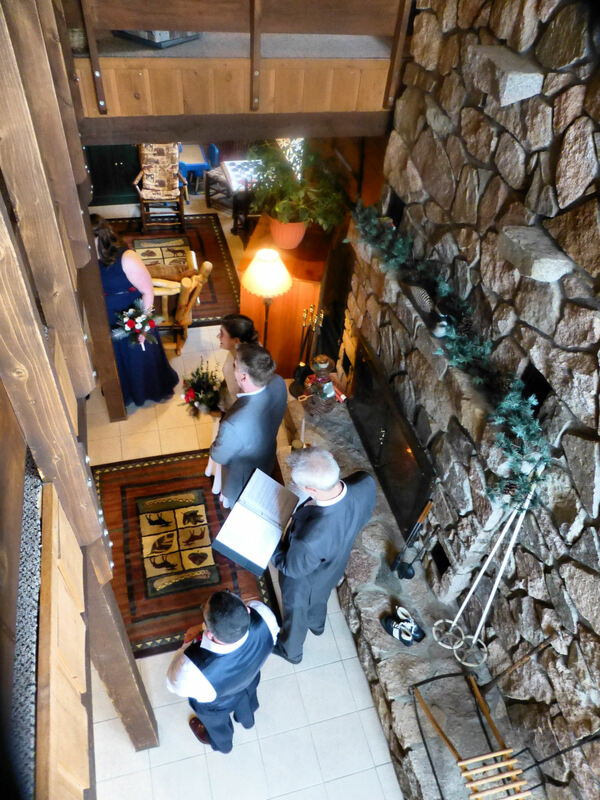 We have a facility charge of $250 per day for use of the lodge for a ceremony, dinner, or wedding event. If no adjustments will be needed in order to host the wedding, this fee is not necessary. However, usually a wedding involving more than a few people involves moving furniture, decorating, relocating guest activities, or closing the lodge, so that is when the fee is charged. Our wedding officiant fee is $175 on site; an off-site wedding fee is negotiable, depending on how much distance and effort will be involved in getting to the location. This price includes time for the officiant to discuss plans for the vows and ceremony, rehearsal time, and post-ceremony photos. Dinners with our chef or our caterers generally run $25-$35/plate. Occasionally there may be a chef or caterer fee added on depending on who is available to do the dinner for you and whether they drove a long distance to do your wedding. We can order cases of your favorite wine, beer. or champagne; or (most economical) you can serve the wines and beers we generally stock in the lodge so you will not have to pay for unused bottles. We do ask when you are hosting a wedding at Bearskin that you purchase your wine, beer, or champagne through us. White linens are available as part of your meal cost; if your wedding has a color theme, our linen service provider offers linens in every conceivable color scheme that can be special ordered for your event. If your wedding includes the rental of 4 or more cabins for the event, lodging rates will be discounted. 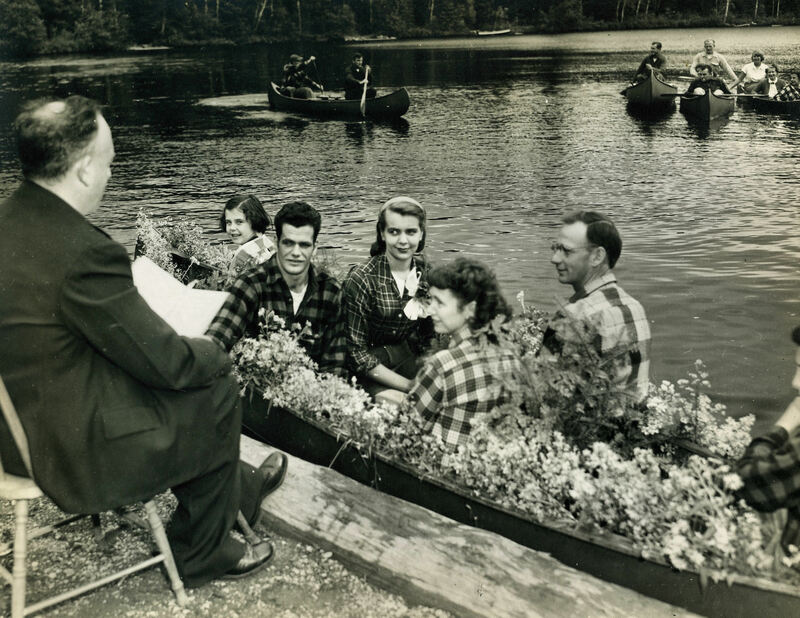 Important date info: It’s much easier to plan a Bearskin wedding if you avoid dates between June 25 – August 20, December 26 – January 1, and President’s Day weekend. We book up a year ahead of time for those dates, so finding enough open lodging for you and your guests could be difficult at those times. We are generally too booked and too busy in peak summer season to host a wedding. We also discourage the first weekend in October, which is the busiest weekend of the entire year in NE Minnesota. We can do very small weddings and elopements during any of these times, but major events with dinners do not work in our busiest seasons. Call us. 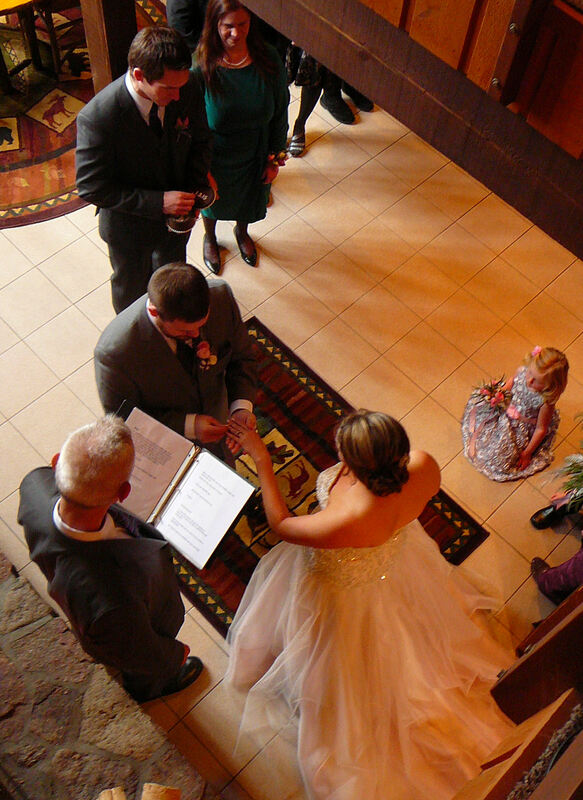 We can make your memorable and unique wedding happen at beautiful Bearskin Lodge.